01// It looks like you and your husband are partners in Blue Sky. How did you decide to work together? As a little girl growing up on St. Thomas, there was no greater treat than to see a bride, in her wedding dress, on the beach. To this day, I remember so many of the brides that I saw during weekend trips to the beach – their dresses, their bouquets,; their smiling faces, and the palpable excitement that filled the air for all of the other witnesses to the wedding. Michael, on the other hand, had been a weekend wedding officiant in California and Ohio who was dreaming of the islands and all things beach. 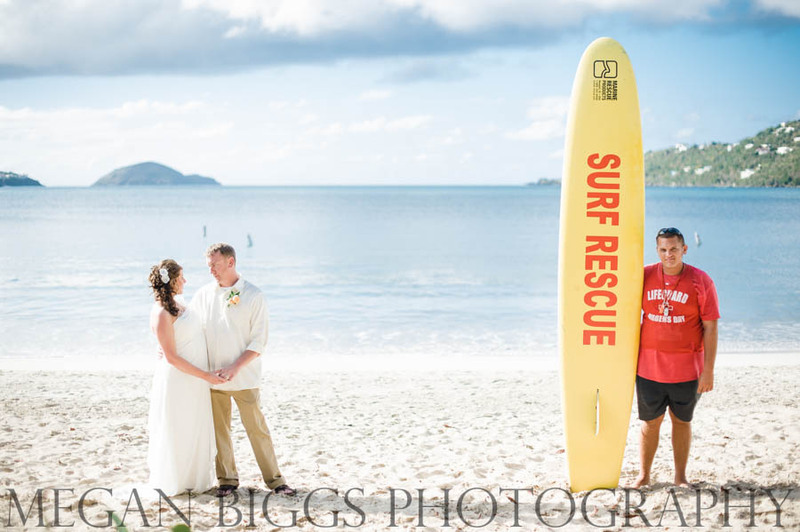 When he moved to St. Thomas, he began officiating weddings part time. When we met, Michael was considering officiating weddings full time and often remarked that after working with many wedding planners over the years, he thought my skills and personality made me uniquely qualified to become a wedding planner myself. To that end, he was the driving force behind the creation of Blue Sky Ceremony and The St. Thomas Wedding Officiant. 02// Are you both natives of St. Thomas? I was born and raised on St. Thomas but have also lived in Massachusetts, North Carolina and Ohio. Michael is originally from Texas, but grew up in Ohio and lived in California. While our time in Ohio did overlap and we were only miles away from one another, we did not meet until I had moved back to St. Thomas and he had moved to St. Thomas. 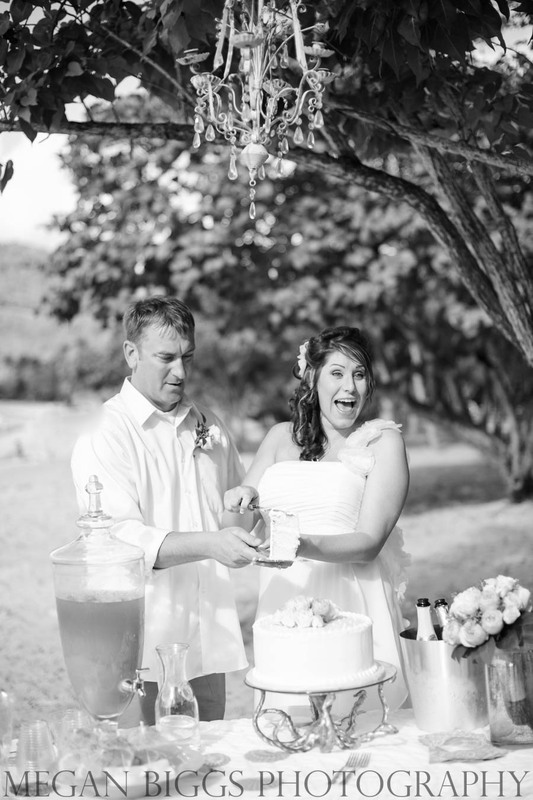 03// What does St. Thomas offer Destination Brides that another island might not? St. Thomas offers beautiful beaches and unique wedding locations and venues like most other destinations, however, St. Thomas is the most hassle free destination for a destination wedding. The marriage licensing process is simple and there are no residency requirements, waiting periods or blood tests required. In addition, no passport is required for US Citizens and St. Thomas is served by several major air and cruise lines so it’s very easy to get to. 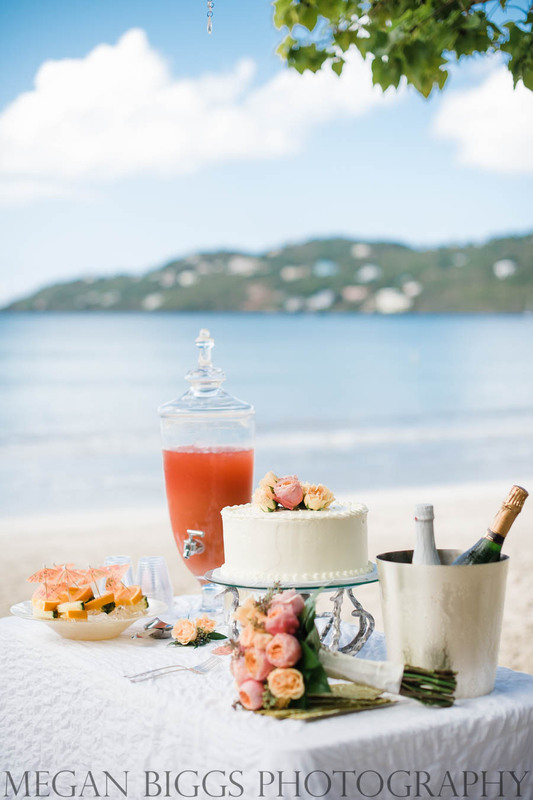 The biggest benefit of a destination wedding in St. Thomas that you cannot get anywhere else is the fact that the US Virgin Islands are a territory of the United States of America and as such, a marriage here is afforded the same recognition as a marriage in any of the 50 states. There is no additional paperwork required. property location for a wedding ceremony? I actually have two favorite off property locations for wedding ceremonies. The first is a new events venue called The Wedding House. Located on the east end of the island, this well appointed private venue is right on the water and features beautiful terraces and a private beach. The second (where I got married) is a private estate on the very western tip of the island that features 3 beaches and a 200 year old sugar mill ruin. 05// Many brides are looking for planners who think outside the box and avoid cookie cutter wedding concepts. What is the most unique reception theme Blue Sky has conceived? I’ve have many requests for Pinterest pretty weddings over the years incorporating fun and unique design elements, but most of my brides are getting married here to take advantage of the beautiful views and the intimacy that a destination wedding adventure ensures. To that end, many of my wedding themes incorporate beach, cruise and tropical themes. Recently, my brides are looking to focus less on the theme and more on the feel – the intimacy. 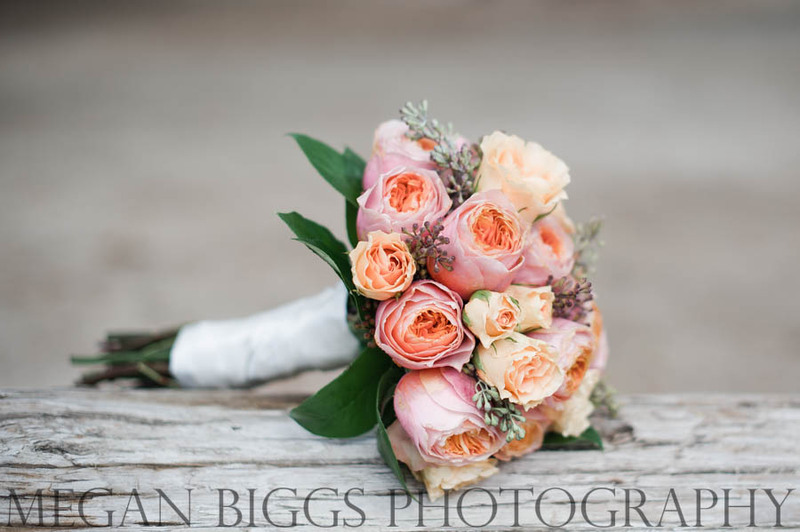 The “theme” design for many of my weddings nowadays focuses on customizing the wedding elements to incorporate guests and loved ones in unique ways from including the brides grandmother’s favorite flowers to letting dad do the grilling for the reception. In fact, a lot, and I do mean a lot of brides are skipping the traditional reception and opting for what I call a “family reunion” style event – beautiful, elegant, but relaxed. I had a wedding recently where the bride and groom where preparing for their first child and their wedding day (specifically the cake) incorporated the big reveal (The OB called the bride’s sister, who called me, to let me know that the happy couple would be tickled pink, and I had their wedding cake tinted so that when they cut the cake, they had a pleasant surprise. 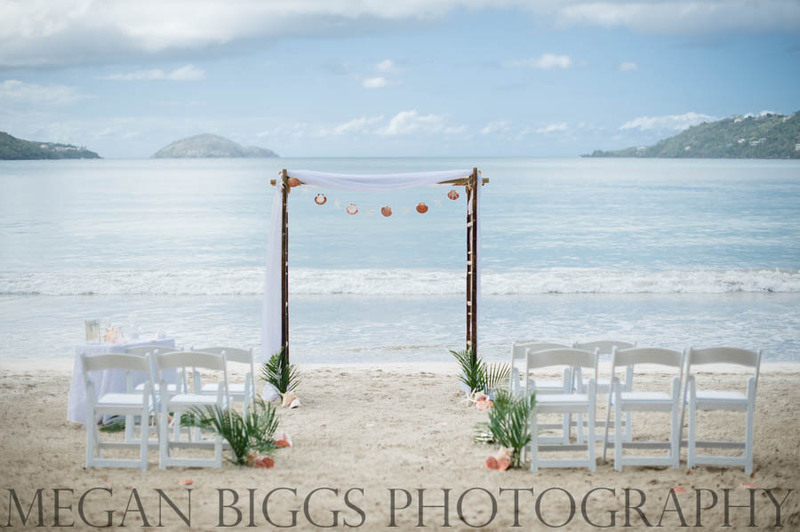 We are excited to work together with any bride seeking a Destination Wedding in the US Virgin Islands. If you’d like more information on travel costs for your destination wedding plans, please SAY HI and introduce yourself to my team of destination wedding travel consultants. We look forward to hearing from you!